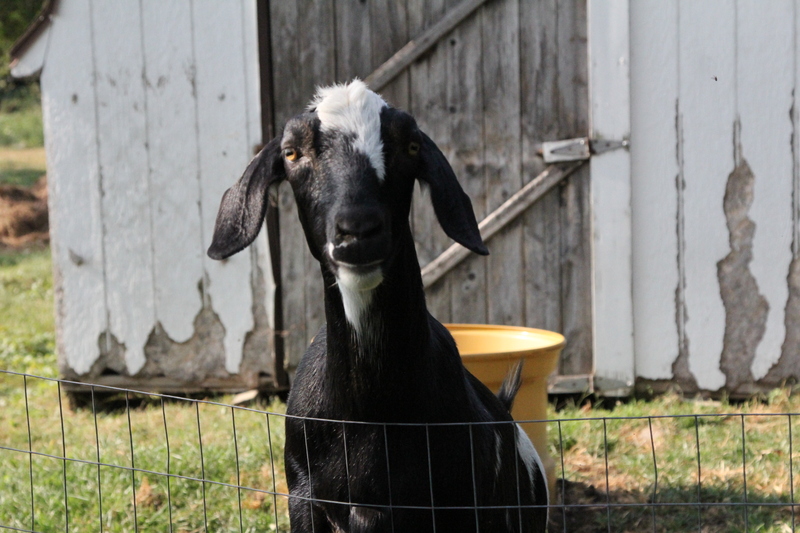 If you’ve read my blog before, you know I have a little love for goats. My dad helped raise goats and show them when he lived with his aunt Bee. They made their own goat milk and cheese and sold it. 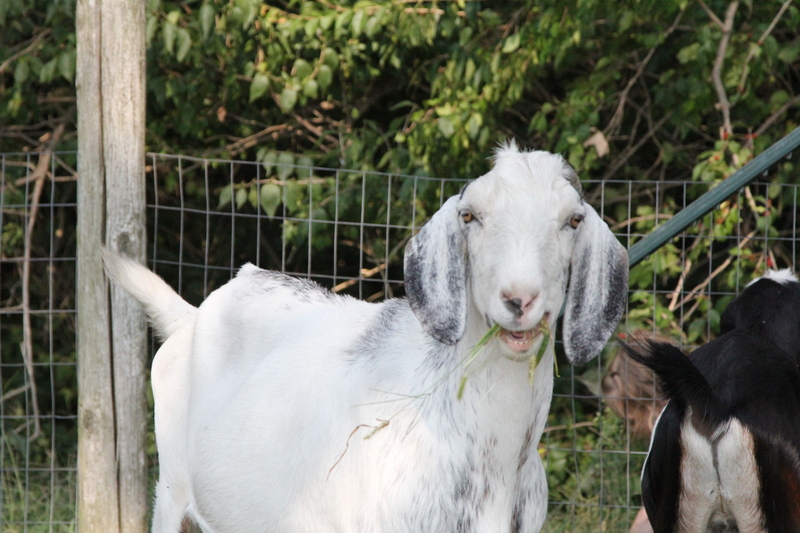 Along with helping to provide food, those goats were friendly little clowns that kept the kids entertained for sure. My dad and his cousin Marion helped take care of the goats and my dad always loves to show off his “goat milking muscle” to his grandkids. He flexes his forearm and shows how strong he is from those years working with his aunt and uncle. Maybe I’ll build some “goat milking muscles” of my own and just maybe I’ll get to post those cute videos with goats in pajamas that I can’t get enough of. The goats pictured here belong to my parents’ neighbors. I always have to sneak in a little visit with them when I am back home. 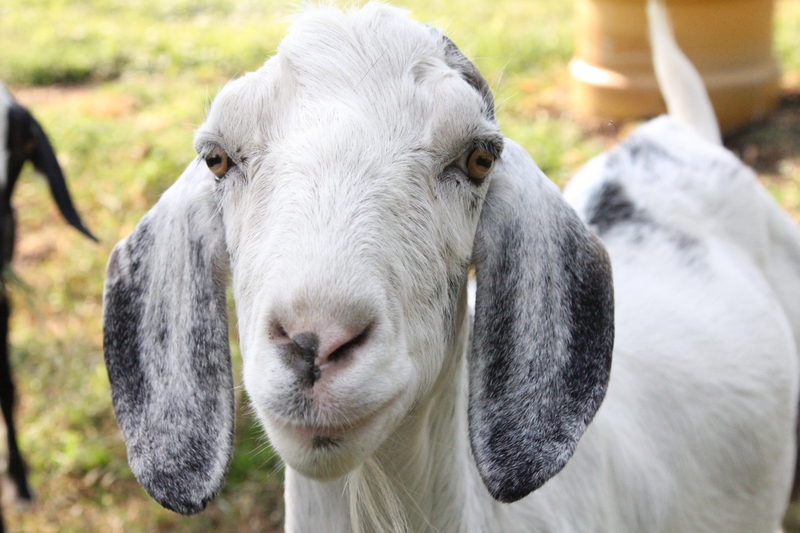 I just love their sweet little faces, wirey beards and little goat shenanigans. 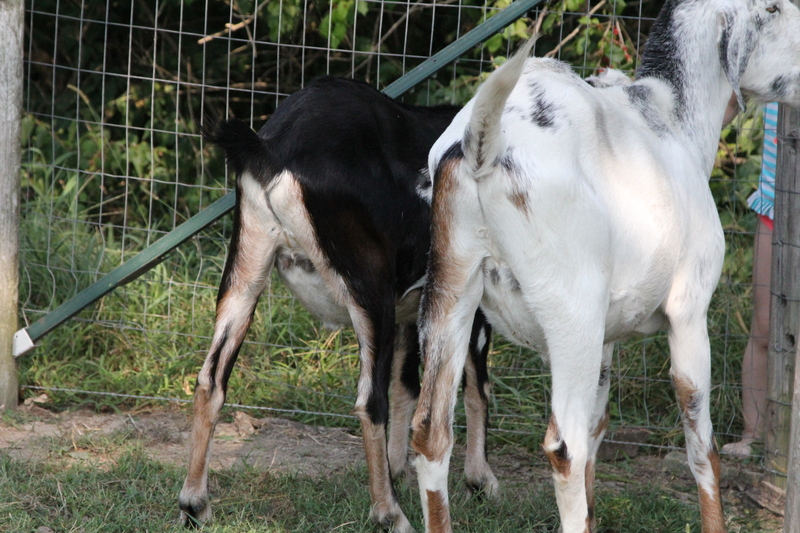 I will someday have some goats of my own, even though I have no clue how to raise them, but I will learn. I’m sure they make a Raising Goats for Dummies book, right? At a local restaurant a while back, I had a salad with a goat cheese crouton served in the center. It was delicious and I was happy because I knew I could easily make them at home so I worked on it and got it down. 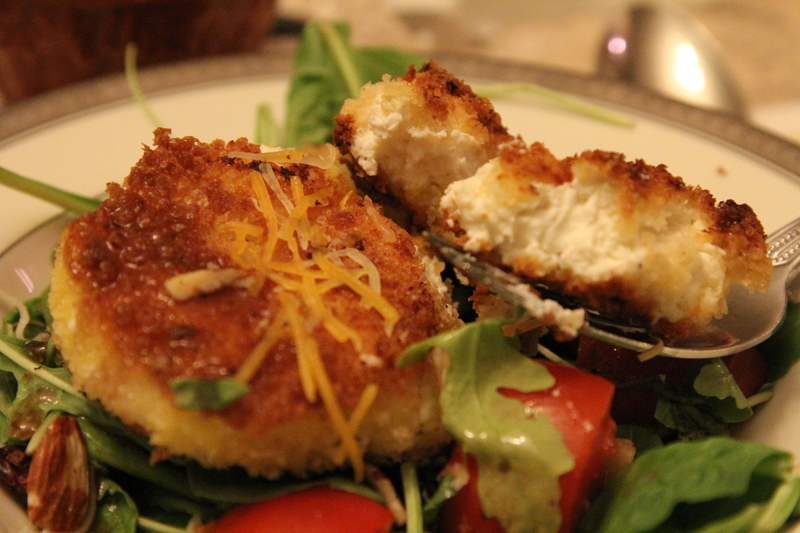 They are delicious on a salad, but could also be served as an appetizer. 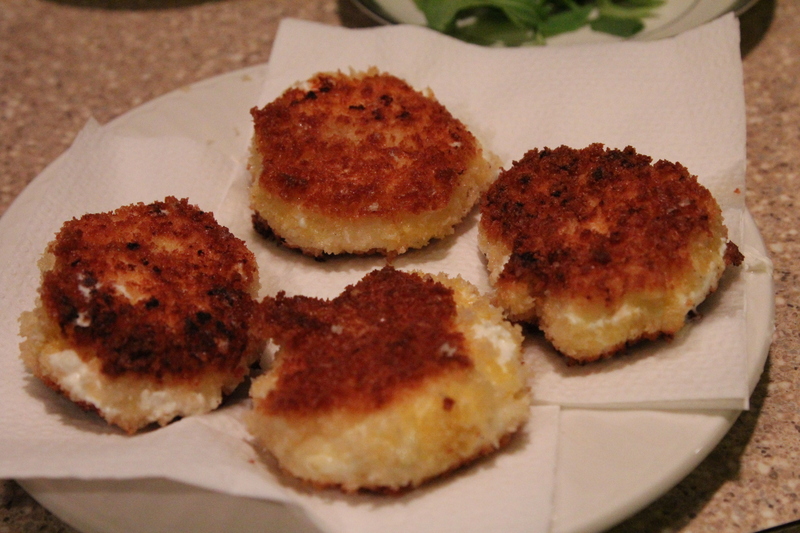 They can be prepared in advanced and then fried up just before serving. I’ve even heated a leftover one in the microwave for a few seconds and it was still tasty. You don’t even have to measure for this one. 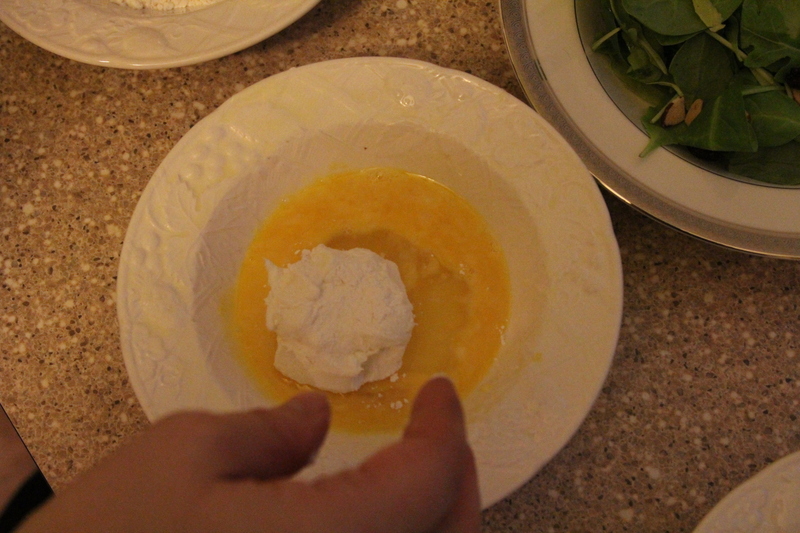 Let your cheese soften a bit on the counter or in microwave on low setting for a few seconds. Measure and have your dredging ingredients ready to go in little stations. 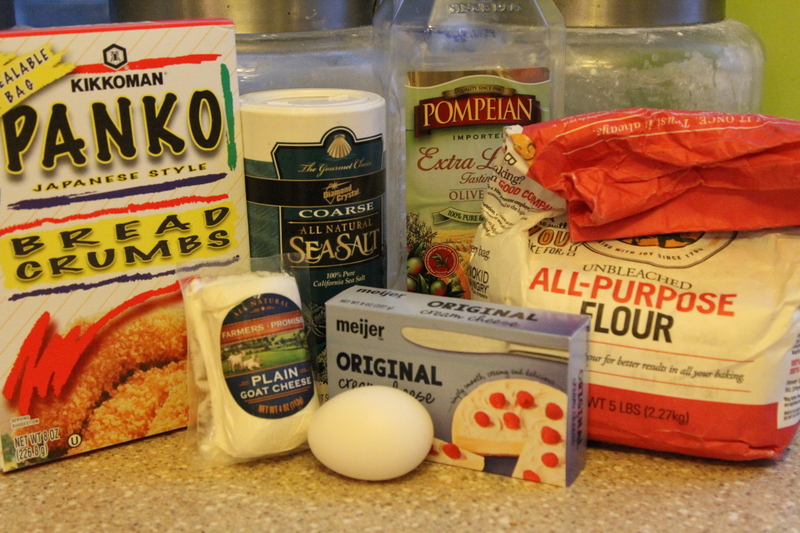 Flour, beaten egg, Panko breadcrumbs with a little salt. 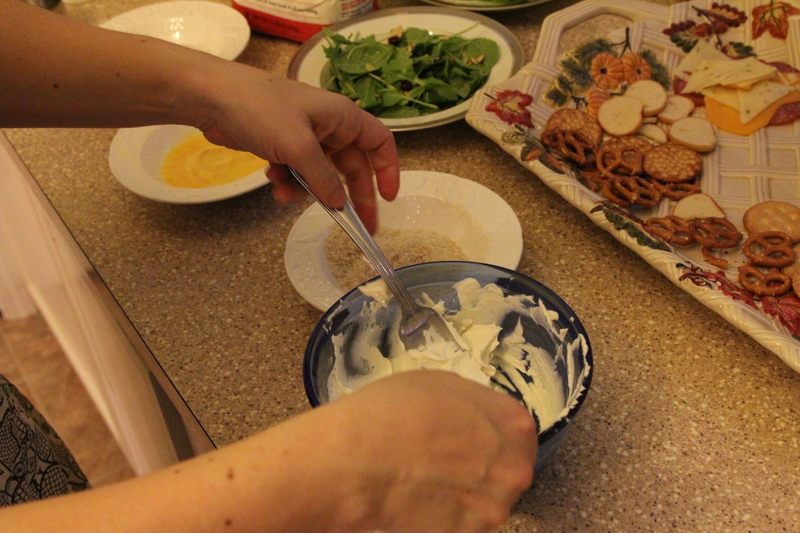 Combine the two cheeses (goat cheese and cream cheese). I recommend coating your hands with non stick cooking spray or olive oil before the fun part. Roll the cheese in your hands and form a little patty. You could also roll and form into balls if you prefer. 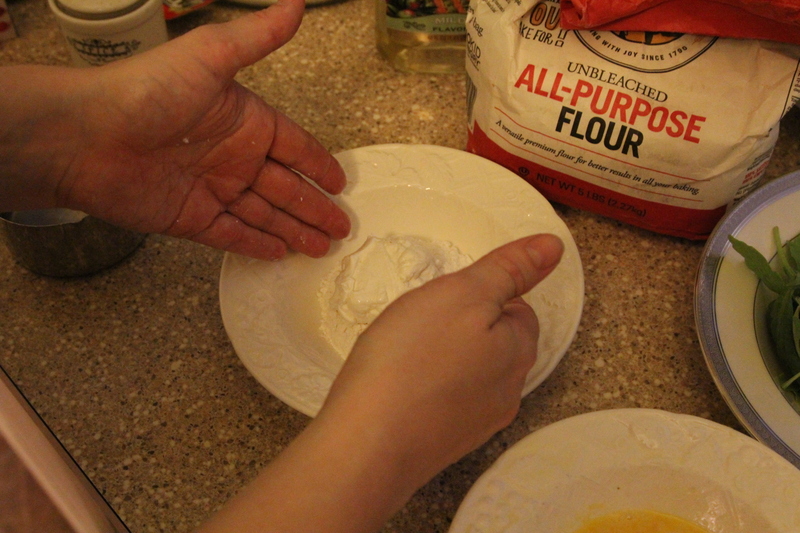 Gently place the ball into the flour and turn to coat. Then into the egg and turn to coat. 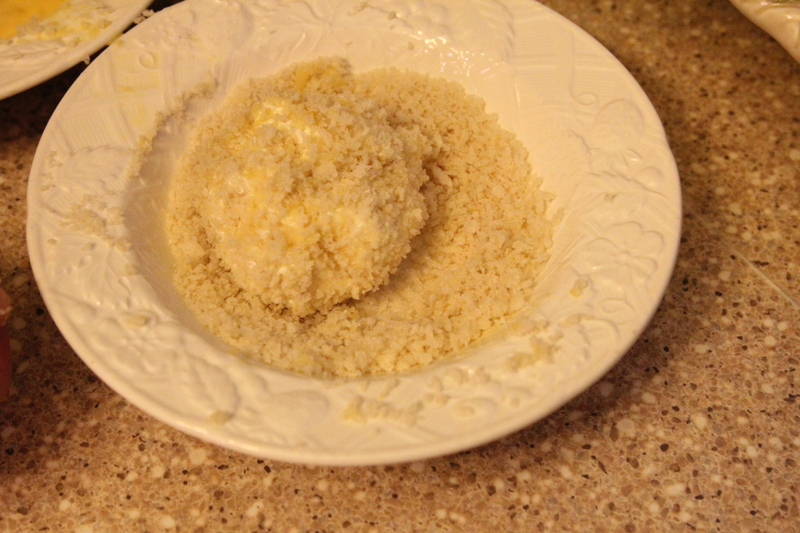 Then last, place the ball in the breadcrumbs and turn to coat. Just before serving, get some olive oil hot in a skillet. Gently fry up the croutons. Flip halfway through until golden on each side. Be careful not to burn. Once done, transfer to paper towel to drain excess oil. Serve on top of your salad, or as appetizers. Servings: Makes 4 medium/large Croutons. 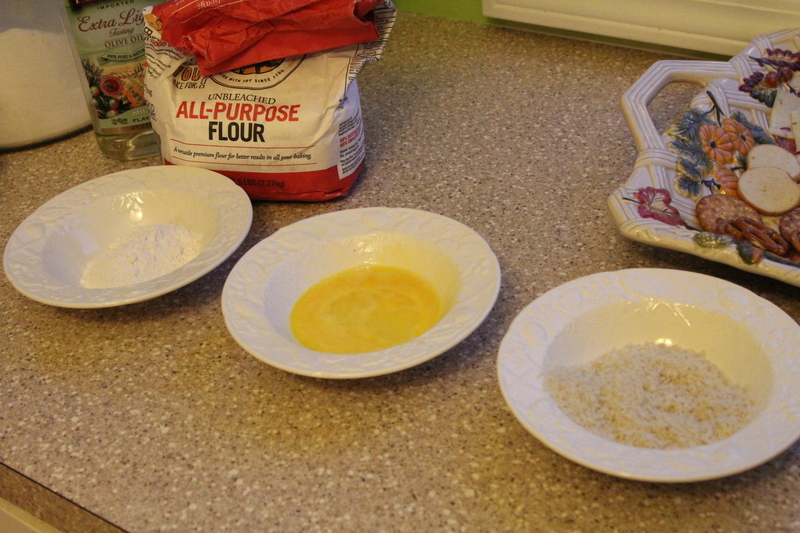 Have flour in a bowl – set aside. Beat egg and set aside in separate bowl. 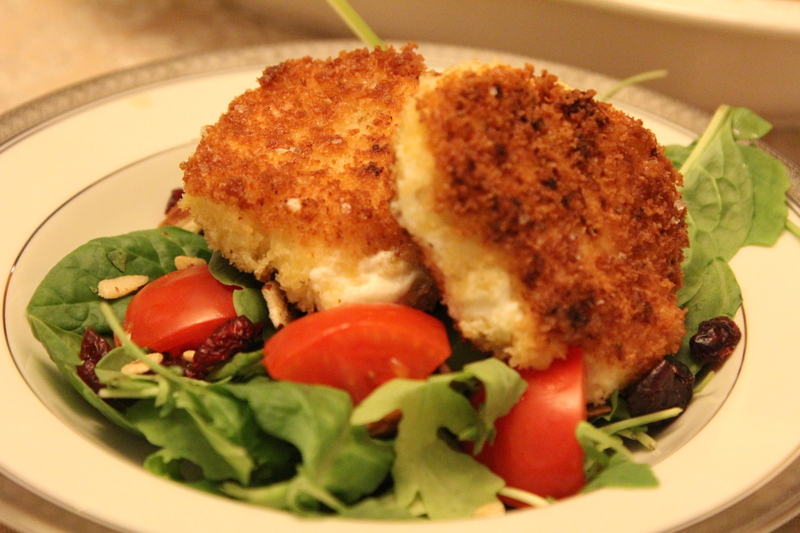 Combine Panko breadcrumbs and a little salt and pepper in small bowl – set aside. 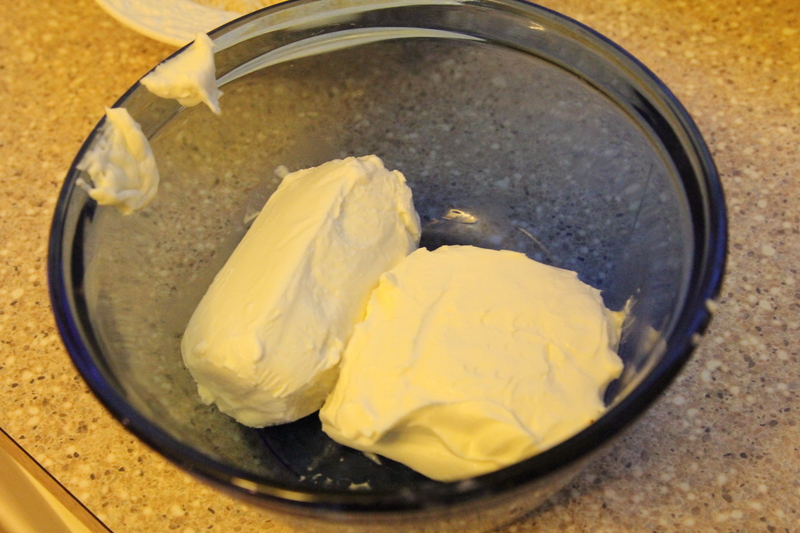 Combine softened cream cheese and goat cheese. 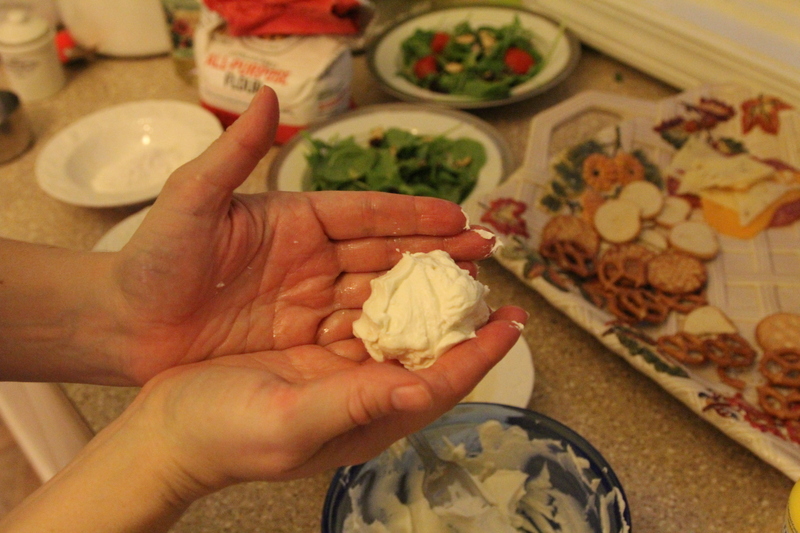 Spray hands with non stick spray or olive oil and gently form the cheese into balls or patty shapes. 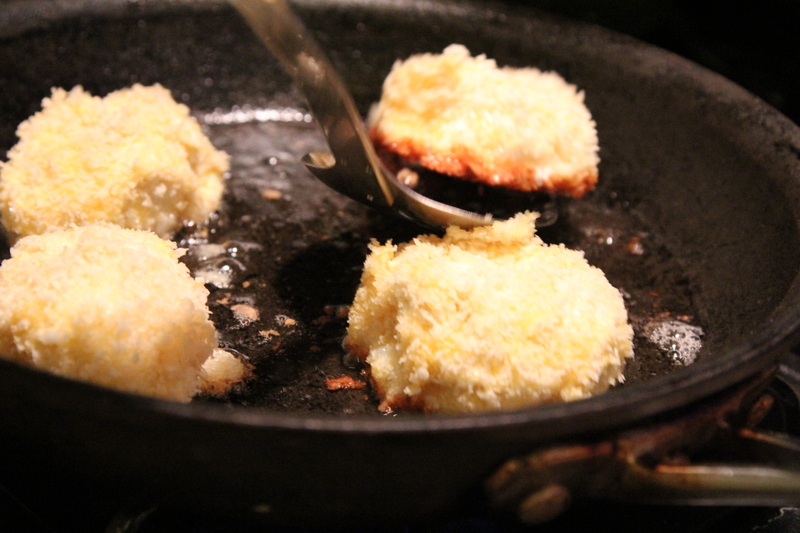 Dredge each patty into the flour, egg, and then breadcrumbs coating completely in each step. Set these aside until all are coated. 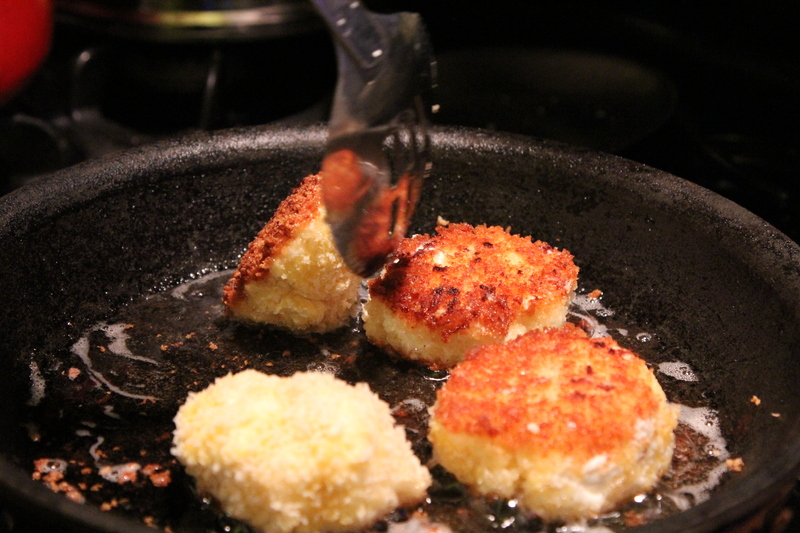 Heat olive oil in skillet and lightly fry each crouton until golden. Flip halfway through and cook until golden brown on both sides. Drain croutons on paper towels and serve on top of salad or as appetizers. You can add a little sprinkle of salt and pepper if you like.